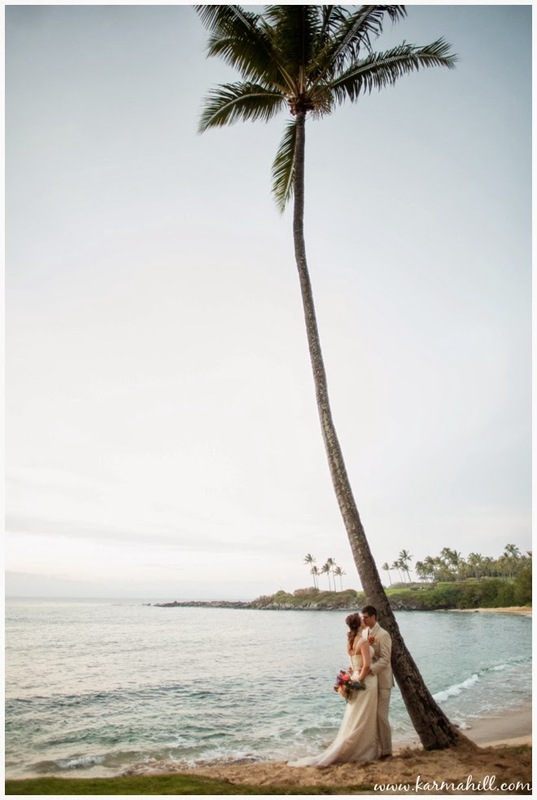 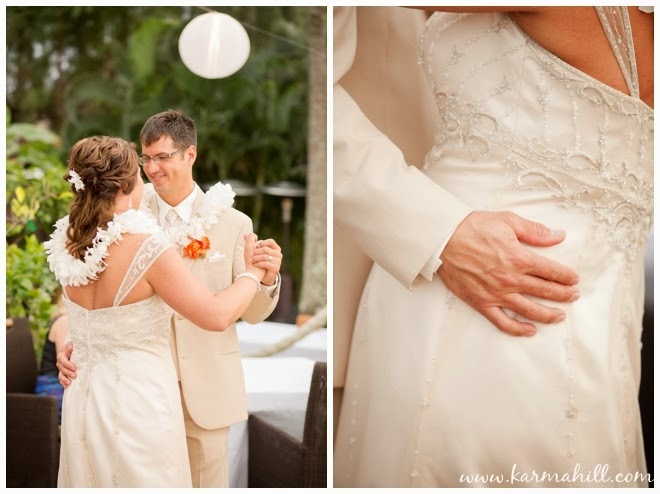 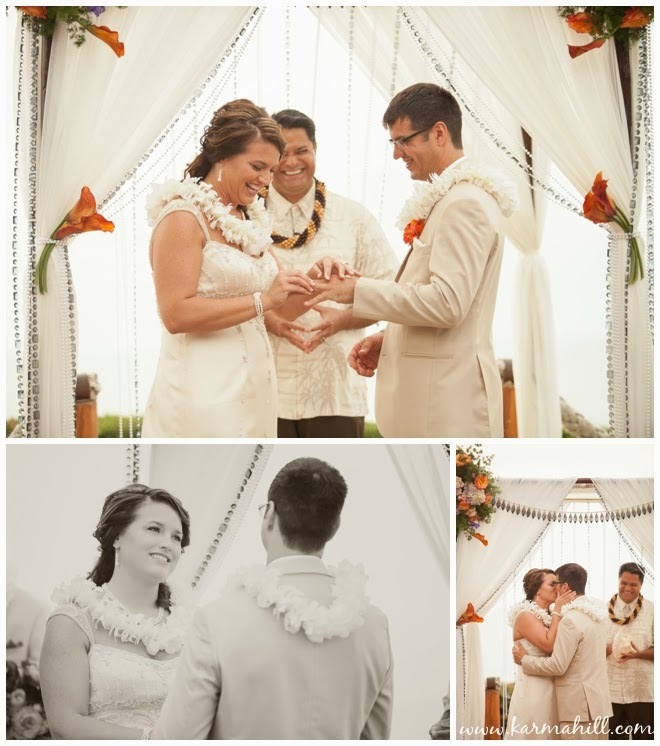 We are excited to share Jody and; Chad's Maui wedding with you today! 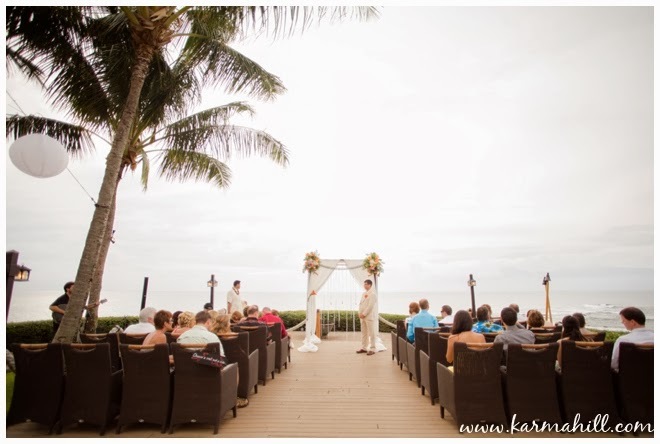 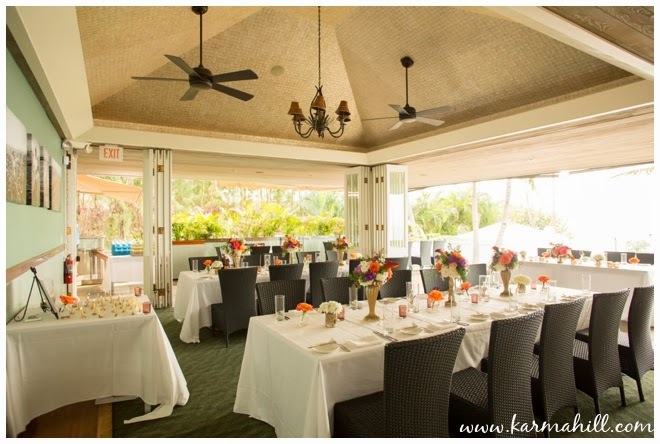 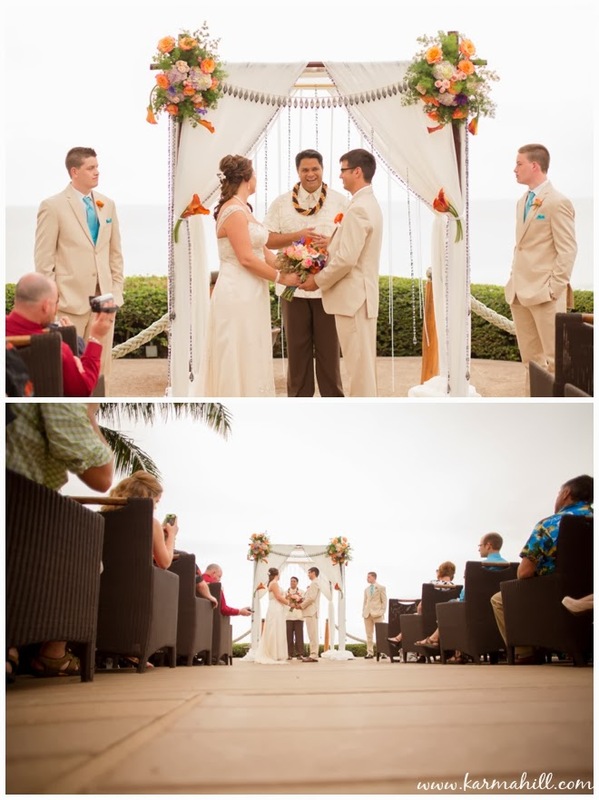 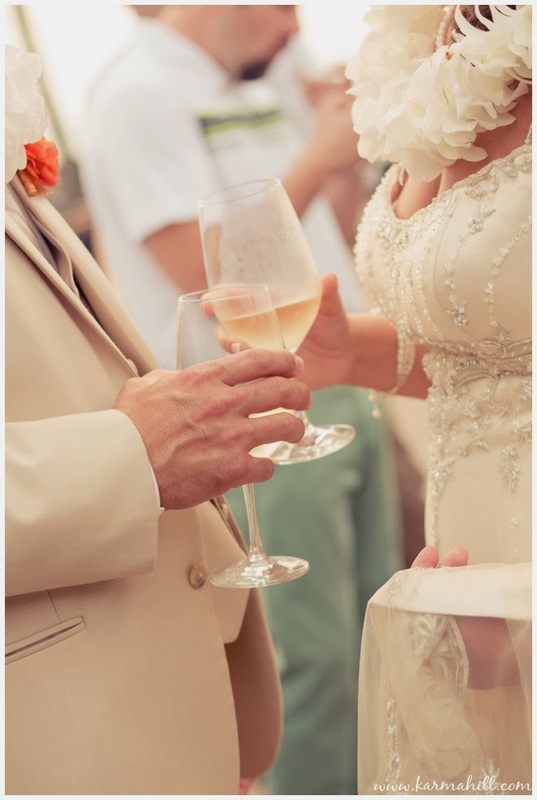 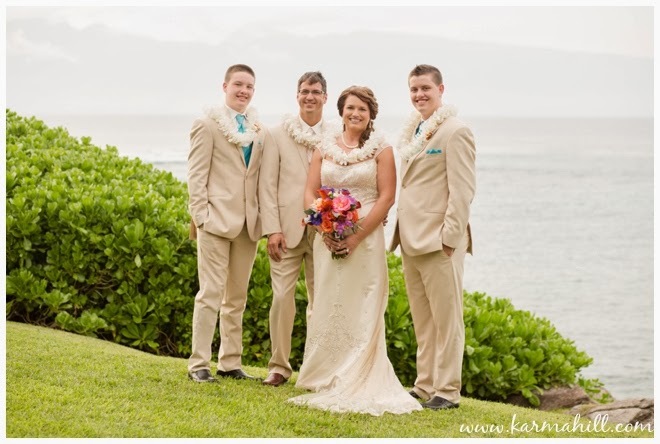 We met this wonderful couple at Merriman's on Kapalua Bay for their ceremony and reception. 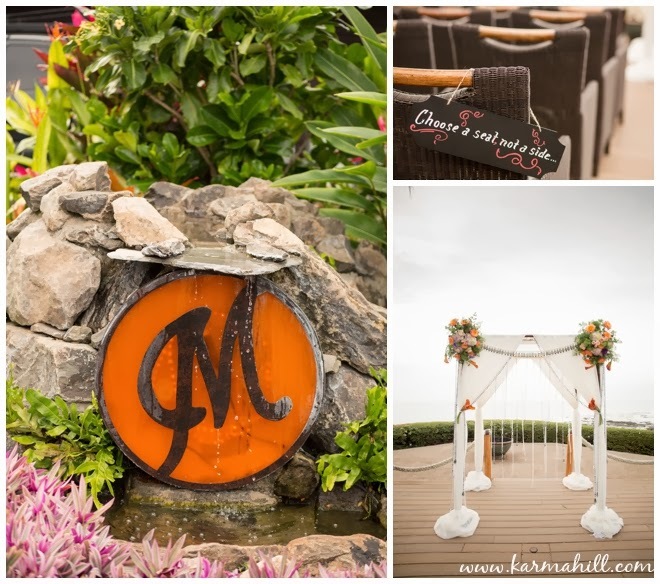 The details and decorations they'd created for their special day were wonderful and so much fun to photograph. 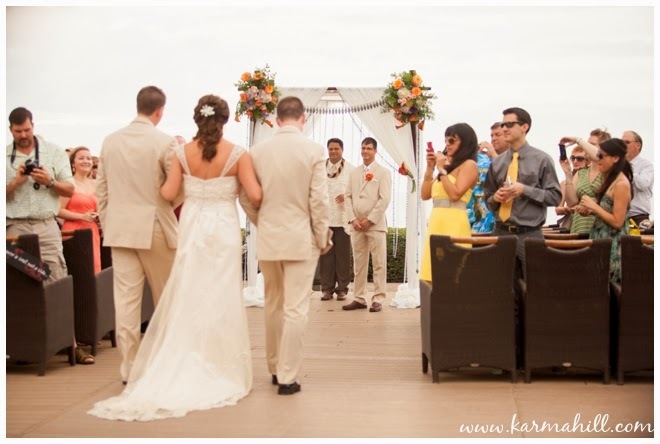 Their ceremony took place outside on the deck overlooking the ocean. 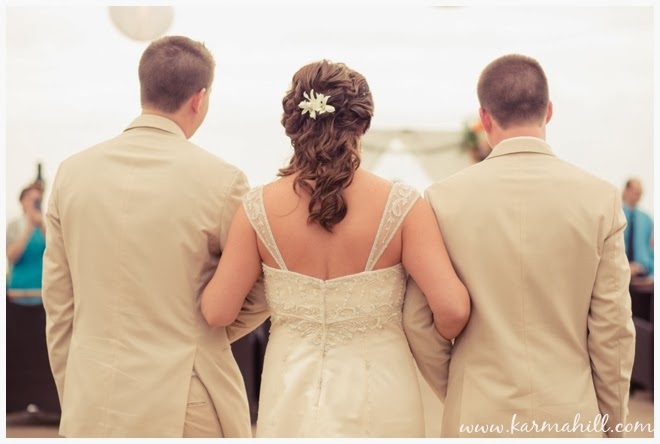 Jody was escorted up the aisle by her two sons who stood by Jody and Chad's side during the ceremony. 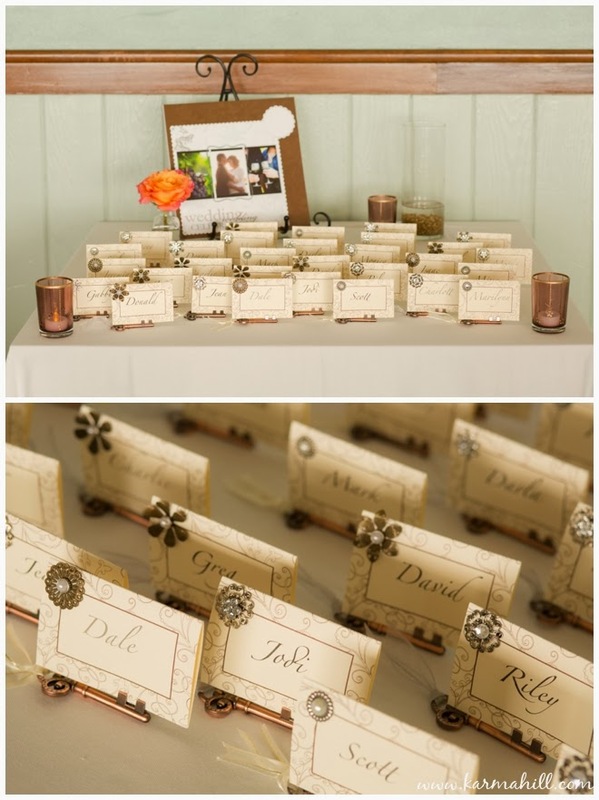 They asked their guests to sit anywhere they liked during the ceremony rather than on the traditional 'Bride/Groom's Side'. 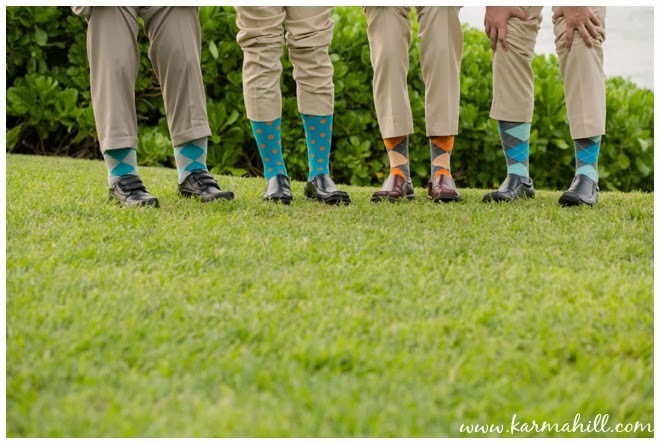 We love this idea because it really celebrates the joining of two families. 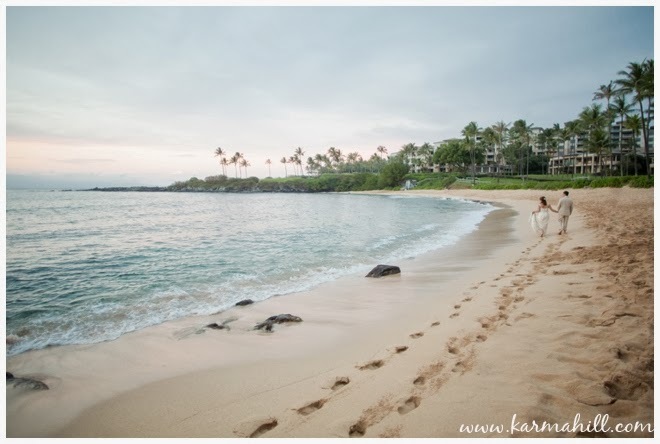 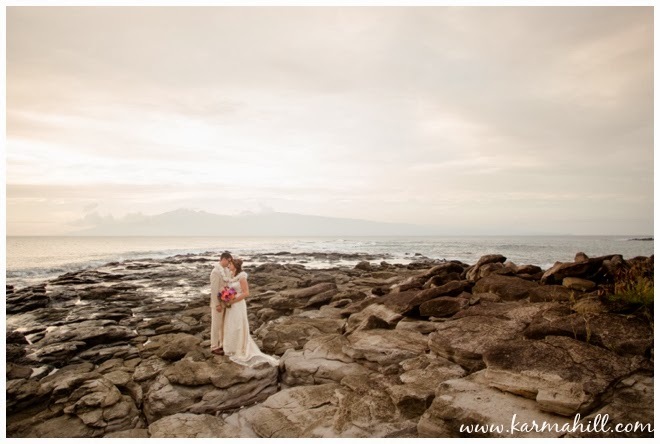 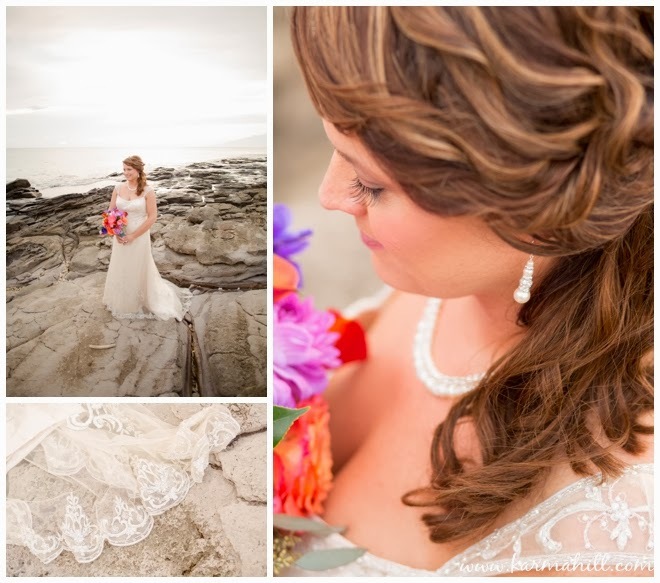 After they said 'I do' we headed down to the sand and gorgeous lava rocks for Jody & Chad's couples portraits. 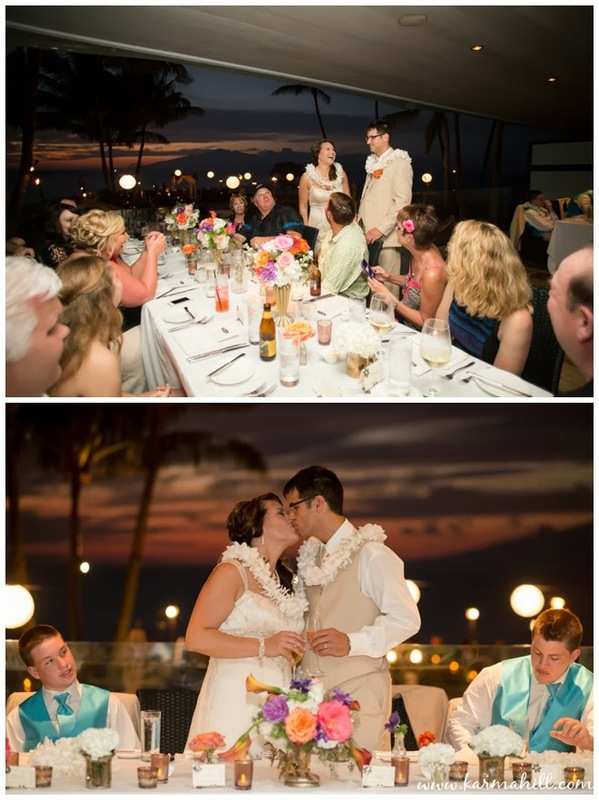 When it was time for their reception, the sun was setting below the horizon and turning the entire sky a beautiful orange. 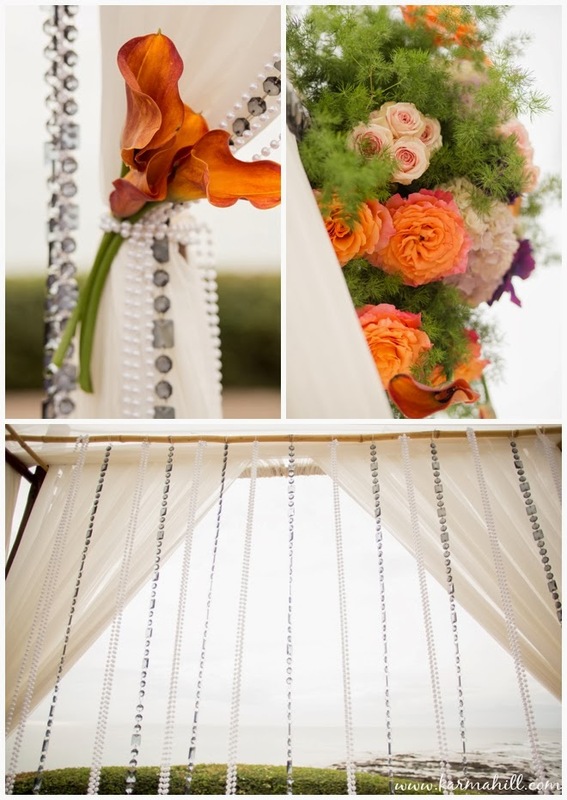 So pretty - we love it! 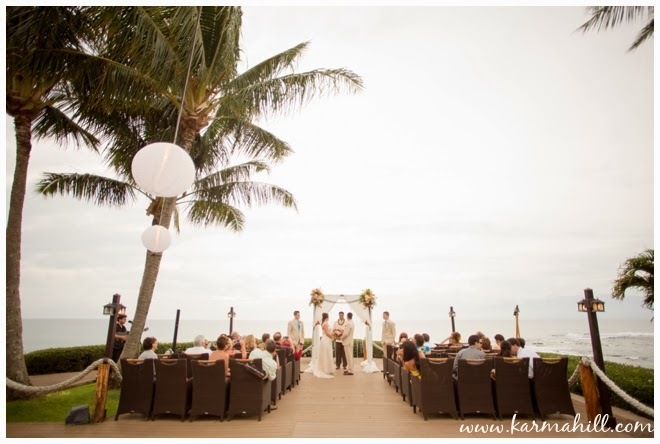 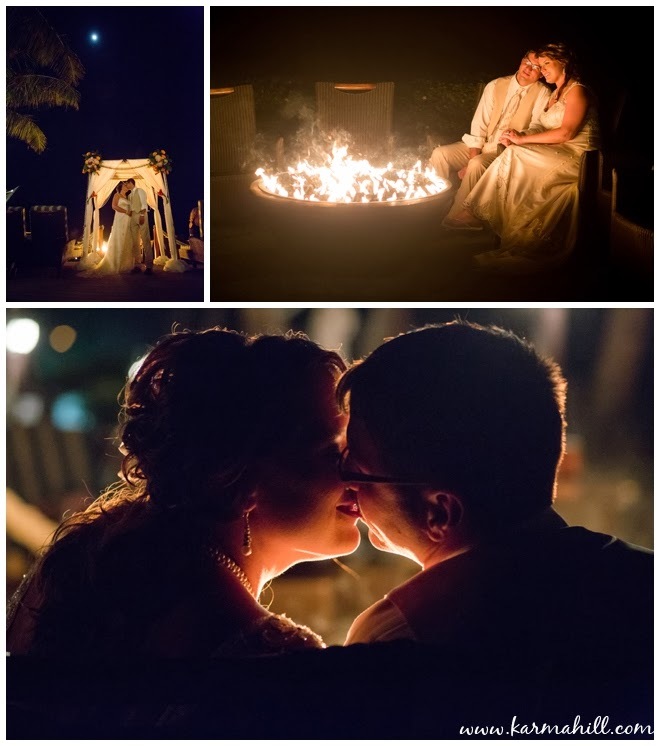 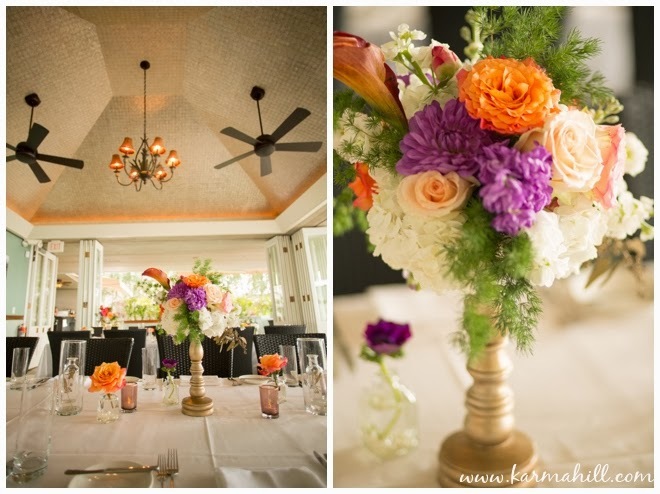 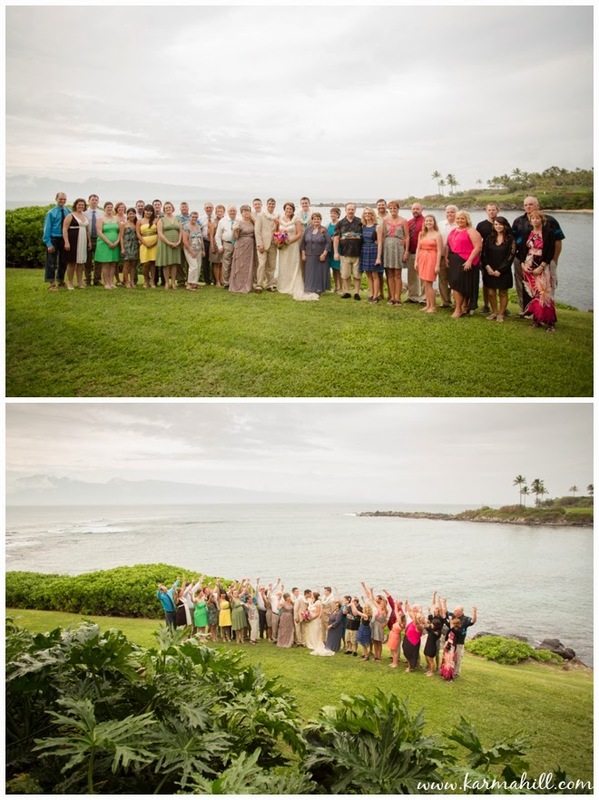 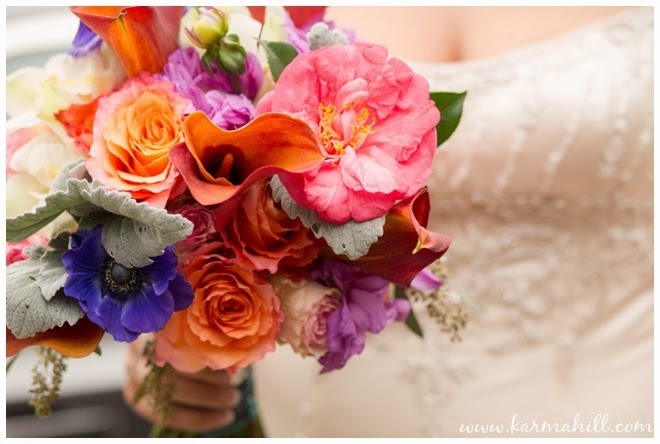 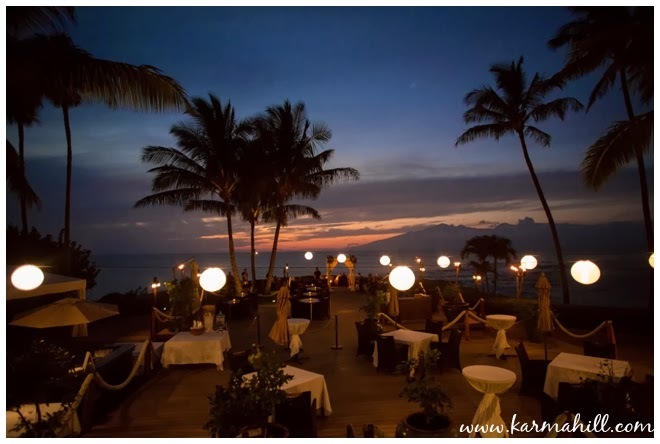 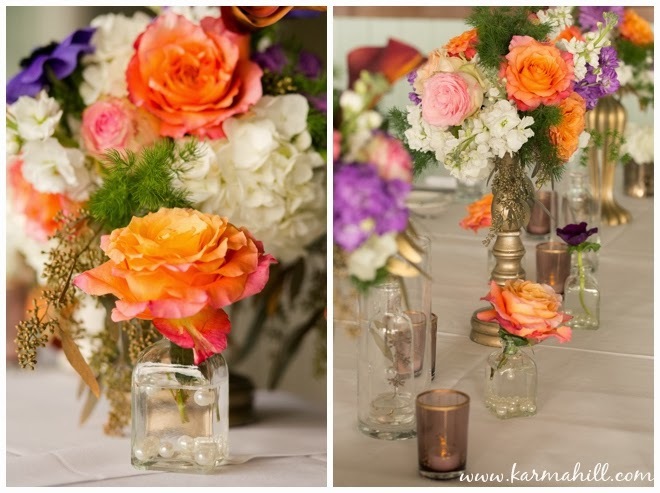 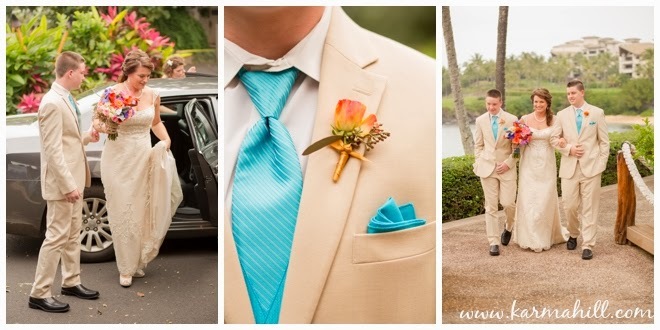 Thank you so much Jody & Chad for choosing Simple Maui Wedding for your Maui wedding. 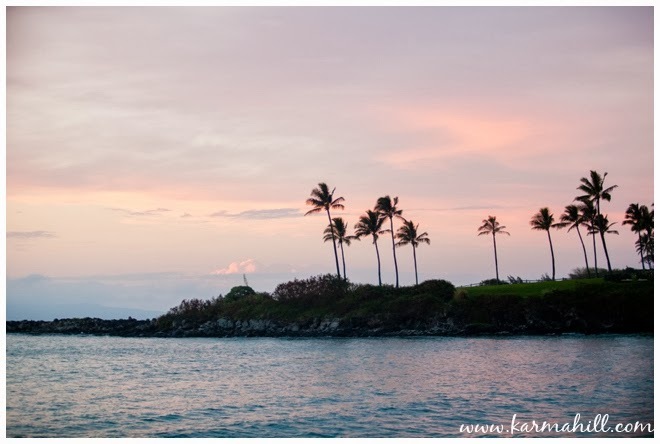 We had a wonderful time with you and we hope your time in Hawaii was magical! 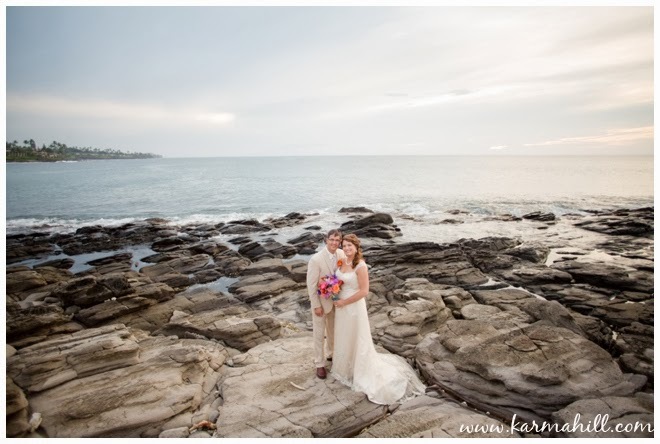 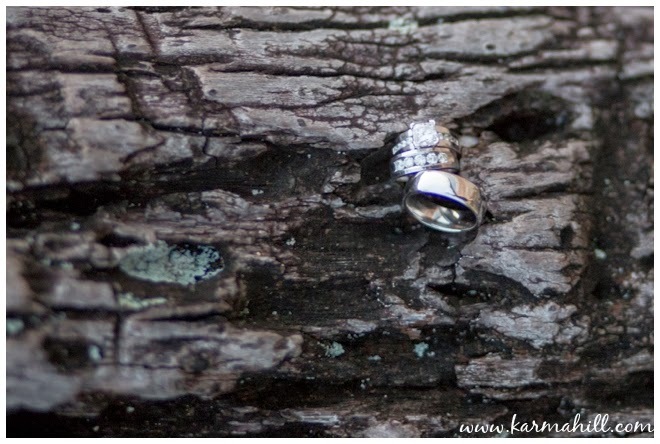 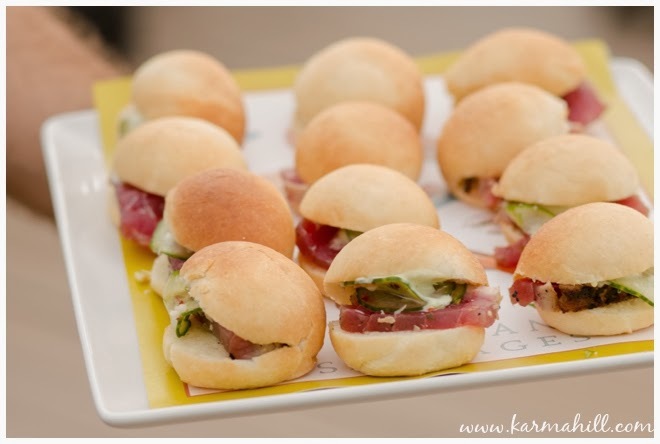 Check out our last wedding with Ani & Patrick at Mama's Fish House Beach!